Bell Helicopter, a Textron Inc. (NYSE: TXT) company, announced today the introduction of the Bell 407GXi at Heli-Expo 2018. The Bell 407GXi incorporates new avionics, an upgraded engine, and new executive interior design options. Garmin’s G1000H NXi Integrated Flight Deck, complete with high-definition displays and faster processors offers increased brightness and clarity, faster startup and map rendering as well as connectivity to tablets and smartphones. Upgrades to the Bell 407GXi include a dual-channel FADEC engine with full automatic relight, and enhanced situational awareness through the G1000H NXi. The Bell 407GXi is outfitted with the new Rolls-Royce M250-C47E/4 dual channel FADEC turbine engine delivering exceptional hot and high performance, fuel efficiency and the ability to cruise at 133 kts/246 km/h. Newly designed executive configuration options bring a modernized look and passenger experience to the five-seat club cabin. Additional options for the 407GXi include the Garmin FlightStream 510 that allows pilots to upload flight plans from smart devices, Garmin SurfaceWatch that provides runway identification and alerting technology, a 3,100-lb. cargo hook, and Health Usage Monitoring (HUMS) for aircraft system diagnostics. 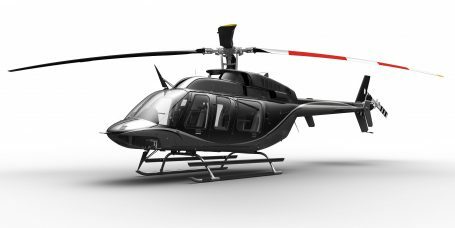 The Bell 407 GXi has been certified by Transport Canada and the first delivery is scheduled this Spring.